Be your own barista and bring your love of foam home with this single-serve, two-step Caramel Macchiato. 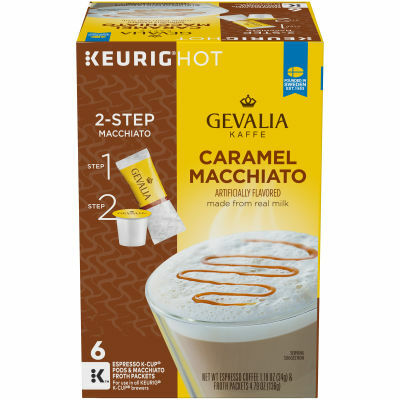 Enjoy a premium cafe-style experience by combining our rich, never bitter Espresso coffee with our unqiue Caramel Macchiato Froth packets made with real milk. This rich, sweet offering does not contain any trans fats or cholesterol. Serving size 1 K-Cup® Pod (6g) & 1 Froth Packet (23g).